"The band was formed in 1967 by the merger of two Berlin rock groups. In April 1972, the band toured Egypt, Lebanon, Cyprus and Greece with Lutz Ulbrich, Michael Günther, Jörg Schwenke, Michael Hoenig and Burghard Rausch as members at the invitation of the Goethe-Institut. The manifold impressions of this journey were reflected in the first album Malesch. Extensive activities made the band known throughout Europe. In the summer of 1972 the group appeared in the cultural program of the Olympic Games in Munich, toured France for two months at the beginning of 1973, performed at the 'German Rock Super Concert' in Frankfurt in May, produced the second album 2nd and then went on tour through France and German cities. Both the SFB and the WDR broadcast portraits and live concerts. In 1974, the band was tired and at the end of the year, after a farewell concert, the band temporarily broke up. Looking back, it became clear that the experimental circle Agitation Free was one of the most important bands of the 'Berlin School' and also a career springboard for some German musicians. Thus, Christopher Franke helped the band Tangerine Dream to worldwide recognition. Michael Hoenig works with Klaus Schulze and Tangerine Dream before he became known as a film composer after a solo album in Hollywood (including the film music for 9-12 weeks). Axel Genrich changed to Guru Guru, Burghard Rausch became a founding member of Bel Ami. Gustl Lütjens toured with Shirley Bassey and Nena and later found a big audience with his new age band Living Mirrors especially in the USA. Lutz 'Lüül' Ulbrich joined Ashra, worked with ex-Velvet underground singer Nico, produced solo records alongside theatre music and has been celebrating success with the 17 Hippies since the end of the nineties." "When the band Agitation Free came together in 1967 as a result of the merging of two Berlin rock groups, one of the most interesting groups in a dawning independent German music scene was created. With their improvisations between rock, jazz and new music, Agitation Free -- soon relegated to the not so flattering category of 'Krautrock' -- made musical forays into areas that few of their fellow German musicians had ever penetrated. At a time when most in Germany were still orienting themselves as closely as possible to Anglo-American musical formats, Agitation Free found a completely new and very original form of musical expression. Starting with their debut album Malesch, Agitation Free delivered a fascinating sound, influenced not least by the manifold impressions from a Near East tour. The band moved toward a form of meta-music, a weaving of exotic-sounding compositions. The album has been justly regarded as a milestone in the genre, especially abroad. Looking back, it's evident that the Agitation Free was one of the most important bands of the experimental circle known as the 'Berlin School', and a career springboard for a whole slew of musicians. At the same time, this policy of changing personnel also meant risking that the band couldn't keep itself together over the long run. 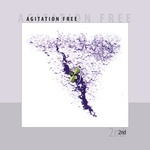 Agitation Free consciously took this risk in order to remain as close as possible to their own concept -- free from commercial pressure or concessions to the latest trends and modes." "When the band Agitation Free came together in 1967 as a result of the merging of two Berlin rock groups, one of the most interesting groups in a dawning independent German music scene was created. With their improvisations between rock, jazz and new music, Agitation Free -- soon relegated to the not so flattering category of 'Krautrock' -- made musical forays into areas that few of their fellow German musicians had ever penetrated. At a time when most in Germany were still orienting themselves as closely as possible to Anglo-American musical formats, Agitation Free found a completely new and very original form of musical expression. 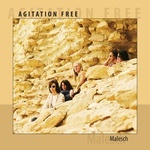 Starting with their debut album Malesch and the album 2nd, Agitation Free delivered a fascinating sound, influenced not least by the manifold impressions from a Near East tour. The band moved toward a form of meta-music, a weaving of exotic-sounding compositions. The album has been justly regarded as a milestone in the genre, especially abroad. Looking back, it's evident that the Agitation Free was one of the most important bands of the experimental circle known as the 'Berlin School', and a career springboard for a whole slew of musicians. At the same time, this policy of changing personnel also meant risking that the band couldn't keep itself together over the long run. 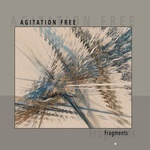 Agitation Free consciously took this risk in order to remain as close as possible to their own concept -- free from commercial pressure or concessions to the latest trends and modes. Collector's item! Limited (500) in colored (mint) vinyl." "Not quite a normal Schulze-Album. 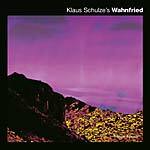 This album is one of Klaus' sideline ideas, a "Wahnfried" release. And certainly not exactly a genuine and typical 'Schulze', if such a character does exist at all. In the '90s there was a new musical dance fashion, called Techno, Trance, Ambient or Chillout, and most of its champions called Klaus and Kraftwerk respectfully the 'Fathers of Trance and Techno'. Parts of former Schulze discs were being played in dance halls, and Techno producers used Klaus' music for their own creations. Fashionable groups such as The Irresistable Force, Future Sound of London or The Orb asked for their use of Klaus Schulze samples, plenty of others just used them. New musical heroes such as Sven Väth or William Orbit talked with Klaus about a maybe musical cooperation... Klaus seemed to like it, or at least some of it. The situation was curious. Klaus Schulze was once described as 'pioneering, single-minded and influential, a musician with taste for adventure.' No one else can claim to have been so important a force behind the music that becomes known as 'New Age' or the later subcultural 'Ambient-House'. His greatest triumph as a musician is the almost single-handed creation of synth-sequencer music and the related genres 'Cosmic Music' or 'Teutonic Synth', which later composers and musicians all over the world have latched on to 'Sure enough!' After doing his own crazy innovative music for a quarter of a century, suddenly some young pop musicians use freely what he did all those years, and sell it as their new invention. And people enjoy and dance to it. The obvious idea for Klaus Schulze was, to do a 'Trance' album himself. It promised some fun. Because this is a bit apart from his own musical direction, Klaus did it under his alter ego Wahnfried, as always not as the only driving force as in any Schulze production, but just one artist among others." 2019 repress. "A vinyl re-release of the debut-album by legendary krautrock avant garde band Agitation Free, starring Lutz 'Lüül' Graf-Ulbrich on guitar, who late became part of Ash Ra with Manuel Göttsching." 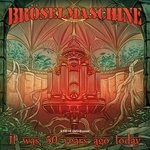 "Bröselmaschine is one of the oldest bands from Germany and still alive! The reactions to their latest studio album (2017) were awesome by critics and fans. All over the world, especially in USA and Japan, the debut album from 1971 is listed as one of the most important Krautrock albums of all time - beneath Amon Düül, Can and Tangerine Dream (e.g. the New York Blog 'Pigeon & Planes' rank 9 of 20). On the occasion of their 50th anniversary MIG will release an anthology box set containing 5 CDs and two DVDs - a complete documentary of this unique band (1968 to 2017). An impressive 48 page booklet with extended liner notes and photos makes this release a special gem. The box set contains all studio albums including the iconic debut, carefully restored and digitally remastered. For the album I Feel Fine we got the original two inch multi-track tapes baked and digitalized; our proven sound engineer Hoppi made a contemporary mix, but for all that still ensouled by the ghosts of the '70s. The album Graublau (Greyblue) was digitally remastered from the original analogue 1/4inch master tape from 1984. It is fascinating and entertaining to follow this extraordinary band through the decades in different line-ups. On guitar: Willi Kissmer and Michael Dommers (previously Wallenstein) and, of cause mastermind Peter Bursch, who is also playing the sitar. Part of the band for many years are also exceptional German drummer Manni von Bohr, and on keyboards Helge Schneider. There are also Klaus Dapper on flutes and saxophone, Deltlef Wiederhöft on bass, the great Nippy Noya on percussions and many, many more." 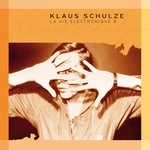 "Re-launch of the successful and partly out-of-print La Vie Electronique series by Klaus Schulze in a new digifile. MIG will gradually make the out-of-print volumes available again. La Vie Electonique Vol. 5 contains works from 1976 to 1977. 'Berlin Schönberg' was recorded in 1976 on a radio concert in Berlin. 'Vie de rêve' is from a concert from the same year, recorded in Reims in France. 'Nostalgic Echo' and 'Titanische Tage' are also solo concerts from 1976. One year later 'For Barry Graves' was recorded -- a short concert for the WDR-program 'Musik Extra 3'. 'The Oberhausen Tape' was recorded in 1976 (the second part of this concert is on La Vie Electronique Volume 6) 'The Poet' finally is a typical gem from the Moondawn era." "Re-launch of the successful and partly out-of-print La Vie Electronique series by Klaus Schulze in a new digifile. MIG will gradually make the out-of-print volumes available again. CD 1, on the one hand, contains the second part of the Oberhausen-concert, with 'Schwanensee' on the other: two solo pieces which were recorded in 1976 in the studio in Hambühren. 'Fear at Madame Tussaud's' was recorded in April, 1977 in the London planetarium -- at that time a novelty, for it was the first time that a concert was held in a planetarium. 'Zeitgeist' is a concert which was recorded on October 17th, 1977 in front of 5500 people in the Saint Michael cathedral in Brussels, 'Inside The Harlequin' is the encore of this evening. The recording date of 'La Vie Secrète' cannot be exactly determined after all years any more. Recorded either in 1977/78 or 1975 this piece remains a very quiet, almost meditative jewel. In contrast to this stands 'Barracuda Drum', recorded about 1978 with Harald Grosskopf on drums. Last but not least at the end of the third CD we encounter the Klaus Schulze of 1979: In October and November that year Klaus Schulze was on tour with Arthur Brown ('Fire'). 'There was Greatness in the Room' is a fragment of the encore of concert from October, 29th 1979 in Brussels. The specific thing about this recording: Beside the voice of Arthur Brown the vocoder-voice of Klaus Schulze is also to be heard." "Re-launch of the successful and partly out-of-print La Vie Electronique series by Klaus Schulze in a new digifile. MIG will gradually make the out-of-print volumes available again. 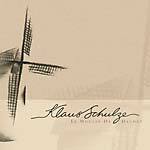 During the years 1977 to 1983 Klaus Schulze recorded some of his more introspective works. Albums like Mirage, Dune, and Dig It saw a significant change in his style of playing and his way of composing. While Schulze was quickly expanding his collection of synthesizers, that ultimately had its effect on the outlook of the music and the possibilities of performing that in a more exquisite way. Play a track like 'Synthasy' and notice that Schulze has come a long way since Timewind and Moondawn. On this 8th part of La Vie Electronique there's a selection of stuff that was archived beside his official albums in those years." 'Re-release of the sought-after Klaus Schulze album 'Cocooning', previously released as part of the strictly limited and long exhausted 5CD Boxset Contemporary Works II (2002). Track 'Easy Listening' is well-defined by the relaxed loops of Tom Dams and the filigree guitar play of Michael 'Mickes' Luecker. The mysterious sounding 'And She Is Kind And Gently' don't need any rhythm -- a dialogue between Klaus and Tobias Becker, whose oboe and English horn is pleasing the ear on almost all Cocooning tracks. The third track 'I Just Have To Sing My Hymns' brings back further well known companions of Klaus Schulze: singer Julia Messenger and Thomas Kagermann on violin, flute and vocals. The last five songs are a song connected cycle of 'It Still Is Now', 'Blowin' Thru The High Grass', 'Many Dreams Have Faded In', 'Many Fears Have Vanished' and 'As Years Went By'. A worthily and impressive continuance of 'Easy Listening' full of atmosphere. The title Cocooning is program and coats the listener into soft sounds and relaxed rhythms - real 'easy listening' without getting fiddling or even boring. Another pearl from the huge Schulze Cosmos." 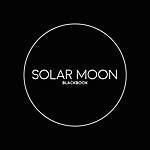 "Beneath their remarkable albums Logbook (2000) and Guestbook (2003) Solar Moon (aka Solar Moon System) is well known by the intensive co-operations with electronic legendary pioneer Klaus Schulze. These co-operations brought us, beneath others, the extraordinary Klaus Schulze & Solar Moon album Ultimate Docking. The long-and-winding-road story of Solar Moon now goes into its 25th year, at last continuing with a new chapter... which in reality turns out to be another book. Following up on their Y2K release Logbook (a summary of their early works morphing from a rock band into a soundsystem collective, released through German electronic pioneer Klaus Schulze's artist label Rainhorse Records back then) and Guestbook (dating from 2003 and featuring a.o. Moby/Waldeck chanteuse Joy Malcolm, bespoke Klaus Schulze and Washington DC based poetry artist JEN), the long awaited Blackbook is more like a summary of constantly broadening horizons,"
"This is the re-issue of the Wahnfried/Klaus Schulze album Trance 4 Motion, which was originally released in the year 2000 as part of the strictly limited and long deleted Contemporary Works boxset. For over two decades, Klaus Schulze's alter- ego Richard Wahnfried has been making memorable and timeless music and there are no signs of it stopping yet. The tense, rhythmic counterplay of 'Local Scanning' sets the tone for the album; early versions of the track, containing electric guitars and vocals, are cast aside and the music proceeds with minimal sequences, heavy percussion and the sort of effective filter modulations that only a Moog wizard like Wahnfried is able to create. The next track 'Aphrodesire' takes the same tone as 'Local Scanning', yet builds on it and and excites with hypnotic effect. For the last track, 'Global Midication', Cologne-based collective Solar Moon (with engineer Tom Dams) collaborate with Klaus to add an air of relentless, timeless modernity. Another pearl from the huge Schulze Cosmos." "John Cipollina (1943-1989) made American rock history as a co-founder of Quicksilver Messenger Service and Copperhead. A typical 'jam area' musician, he played in a number of other bands, among them Terry And The Pirates, and worked with Huey Lewis and Robert Hunter ('Dark Star'), a member of the Grateful Dead who never joined the band on stage. And with Nick Gravenites: born in Chicago in 1938 and influenced by Muddy Waters, Buddy Guy and Howlin' Wolf and a friend of the great Paul Butterfield, he took the Chicago Blues roots west. He also produced the first album of Quicksilver Messenger Service. Together with Mike Bloomfield, he founded Electric Flag, who with their mélange of blues, rock, soul, country and jazz -- practically an all-American mix -- delivered their debut performance at the Monterey Pop Festival in June 1967, helping to kickstart the flower power hippie era. A few years later, Nick Gravenites joined Janis Joplin's former backing group Big Brother And The Holding Company. The openness of the Bay Area music scene was on par with Rockpalast credos: 'I always tried to get the musicians together on stage for a final jam session -- sometimes with success' --Peter Ruechel, Rockpalast." "When the band Einstürzende Neubauten was being founded in 1980 there were hardly any others that could have been compared to them. Instead of playing conventional instruments, the band used tools and other objects of daily use to create atonal industrial collages predicting a near downfall (Kollaps). They started with a destructive and nihilistic basic attitude that corresponded to the zeitgeist of post-punk in the early 80's; however, the realization could not be any more radical than this: percussionist F.M. Einheit maltreating the stage with a power drill, mastermind and singer Blixa Bargeld playing the guitar with an electric shaver. If there existed any parallels, then to 'musique concrete' at best. But very soon, nearly unnoticed by their steadily growing community of fans, the picture refined: at an early stage, Blixa Bargeld rejected already comparisons to the British oil barrel beating epigones of Test Department or SPK and during an interview I had with him in 1985, he wondered why the parallels to a group like Ton Steine Scherben could be neglected carelessly. Indeed, the Neubauten managed to escape pure industrial clichés very fast by their individuality, sophistication and above all, their lyrical substance. Even without blaring metal, on albums like Die Zeichnungen des Patienten O.T. and 5 auf der nach oben offenen Richterskala the Neubauten were able to produce gloomy, filgrane and spheric soundscapes ('Armenia', 'Kein Bestandteil sein'). The Rockpalast concert at the Philipshalle in Düsseldorf combines in a unique and compact way all the songs that were relevant and had shaped the band's style (according to the criteria formulated by Bargeld) to this date. The interaction of the line-up which at that time featured Blixa Bargeld, Alexander Hacke, N.U. Unruh, F.M. Einheit and Mark Chung has hardly been captured as perfect and so to the point as in this film document." "Re-Release of the Klaus Schulze's Miditerranean Pads, one of the most percussive albums of Klaus Schulze. 'Miditerranean Pads is the sensation of the year.' (PhloxNotes/Netherlands, May 1990). Klaus was in the mood for drums again. But he didn't want to play the drums, like he did in the sixties, but rather compose drums. At that time a variety of drum samples were available for the first time, like Japanese drums, talking drums etc., used by Klaus on this wild 'sampling aria.' Another gem from the huge Schulze cosmos." 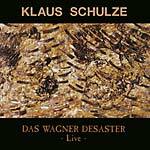 "Re-Release of the impressing Klaus Schulze album Das Wagner Desaster - Klaus Schulze talks about Das Wagner Desaster: 'The title of this album, The Wagner Desaster, has its origin in a concert that was given on the occasion of a Nietzsche conference in Rome. Those who know a lot about music history and philosophy know that Friedrich Nietzsche at some point turned again Richard Wagner and gave him a roasting. This was because Wagner had once told him to stop composing music as he wasn't capable of doing it! Nietzsche took this so personally that he was finished with Wagner. For Wagner, who had actually respected Nietzsche, this was very much a real disaster!' This double-CD contains two different mixes of concert recordings from Rome and Paris in 1994. The 'Wild Mixes' are done by Andrè Zenou, who also designed the cover. The Soft-Mixes were by Klaus himself. As bonus track we added the encore from the 1991 Schulze concert in Sevilla." "Re-release of the high acclaimed album Virtual Outback (originally released 2000 as part of the strictly limited and long exhausted five-CD-boxset Contemporary Works II). Virtual Outback was just one single track: the elegiac 65 minute 'The Theme: The Rhodes Elegy', one of the most favourite of many Schulze fans. The bonus track is from a filling work for the Chinese mass rally 'China Millenium' on the occasion of the turn of millennium 2000/2001. After Klaus' delivery the Chinese government said: 'NO - WAY'! First Klaus used the old Mao song, divided by cutting and transposing, and second he used an ethnic sample from Mongolia. That wasn't possible too, due to the fact that Mongolians are a minority in China. The Chinese government stated: either you respect all minorities or no one. Another pearl from the huge Schulze cosmos." 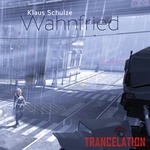 "Re-release of Schulze's Wahnfried project where he collaborated with a lot of different artists. On Trance Appeal (originally released 1996) it was Jörg Schaaf who did the computer programming and played keyboards. Klaus Schulze sensed techno in the '90s as a quite logical progress in electronic music; it was this magic 'Techno Trance Appeal' that fascinated him. Trance Appeal was the album to come before Are You Sequenced? (also in 1996). Klaus followed his influences but stayed 100% Schulze. He created wonderful trance aesthetics, never losing the Klaus Schulze feel we love so much. The bonustrack 'Marooned' stems from a later recording session, also with Jörg Schaaf." "Muddy Waters had a great ear for talent and accordingly the formation which you will hear on this DVD was one of the very best: The pianist Pinetop, the drummer Willie 'Big Eyes' Smith, the bass player Calvin Jones, the two guitarists Luther 'Guitar Jr.' Johnson and Bob Margolin and the harmonica player Jerry Portnoy. At the Rockpalast recording on December 10, 1978 at Westfalenhalle Dortmund Muddy Waters still was at the height of his creative power, his mighty vocals and his splendid charisma on stage fascinated the audience. Muddy's guitar playing on the Fender Telecaster especially comes into full effect with his typical slow blues solos -- and seldom had Muddy such a hot sound as in this TV recording of the WDR. The song selection of the evening consisted of several of his biggest hits which probably are standard discipline of each evening ('Hoochie Coochie Man', 'Walkin' Thru The Park', a superb version of the macho hymn 'Mannish Boy' and, of course, the immortal 'Got My Mojo Workin''), but also less performed titles like 'Soon Forgotten' by St. Louis Jimmy Oden or 'Country Boy', both atmospheric slow blues with slide. When the Muddy Waters Tribute Band appeared at the Rockpalast Open-Air at the Loreley on June 23, 1996 (bonus content on the second DVD), the pianist Pinetop Perkins could unfortunately not travel due to medical reasons and Jerry Portnoy was replaced by blues harper Carey Bell who had already played in Muddy's band in early 1970. All band members switch with the vocals and in 'Gone To Main Street' The Band's Levon Helm is to be heard as a guest singer. Naturally, the repertoire consists mainly of Muddy Waters classics but also songs of Jimmy Reed, two titles that have become known through Albert King and one original composition of the drummer Willie Smith were on the set list." Double LP version. Gatefold sleeve. "Muddy Waters had a great ear for talent and accordingly the formation which you will hear on this DVD was one of the very best: The pianist Pinetop, the drummer Willie 'Big Eyes' Smith, the bass player Calvin Jones, the two guitarists Luther 'Guitar Jr.' Johnson and Bob Margolin and the harmonica player Jerry Portnoy. 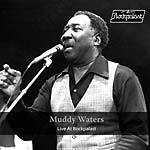 At the Rockpalast recording on December 10, 1978 at Westfalenhalle Dortmund Muddy Waters still was at the height of his creative power, his mighty vocals and his splendid charisma on stage fascinated the audience. Muddy's guitar playing on the Fender Telecaster especially comes into full effect with his typical slow blues solos -- and seldom had Muddy such a hot sound as in this TV recording of the WDR. The song selection of the evening consisted of several of his biggest hits which probably are standard discipline of each evening ('Hoochie Coochie Man', 'Walkin' Thru The Park', a superb version of the macho hymn 'Mannish Boy' and, of course, the immortal 'Got My Mojo Workin''), but also less performed titles like 'Soon Forgotten' by St. Louis Jimmy Oden or 'Country Boy', both atmospheric slow blues with slide. When the Muddy Waters Tribute Band appeared at the Rockpalast Open-Air at the Loreley on June 23, 1996 (bonus content on the second DVD), the pianist Pinetop Perkins could unfortunately not travel due to medical reasons and Jerry Portnoy was replaced by blues harper Carey Bell who had already played in Muddy's band in early 1970. All band members switch with the vocals and in 'Gone To Main Street' The Band's Levon Helm is to be heard as a guest singer. Naturally, the repertoire consists mainly of Muddy Waters classics but also songs of Jimmy Reed, two titles that have become known through Albert King and one original composition of the drummer Willie Smith were on the set list." "The trademark of epic poet Klaus Schulze is still distinctive even in the 21 short and very short pieces... Ready for an Oscar. Le Moulin De Daudet was a commission fort the French-Arabian director Samy Pavel. Klaus invited director and producer to visit him in his studio. For one week they cooked, ate, drank good wines and Klaus played the soundtrack direct to the rough cut of the movie. Another pearl from the huge Schulze cosmos." "Richard Thompson, the pioneer of British folk rock was voted one of the best guitarists of all time by US magazine The Rolling Stone: 'His acoustic picking is just as killer' they wrote. In 1983, Thompson went on tour to promote his current album Hand Of Kindness. For the show on December 12, 1983, at the Hamburg Markthalle the WDR also put up their cameras to record the event for the Rockpalast. The studio crew from the recording sessions of Hand Of Kindness was also present live. Among them three musicians who stood on stage with Thompson with Fairport Convention more than ten years before: Simon Nicol, Dave Pegg and Dave Mattacks. 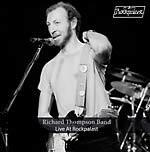 Nearly seven weeks later, on January 26, 1984 Richard Thompson & Band gave another concert in the French luxury resort Cannes on occasion of Midem being recorded by the WDR as well. Gerry Conway, today the drummer with the still active folk rock institution Fairport Convention, replaced Dave Mattacks, Rory McFarlane (bass) came for Dave Pegg who had to go into the studio to record a new album with his band Jethro Tull. In both concerts it is to be heard how well the musicians know each other and how they have been harmonizing for years. They are building an integrated whole with Richard Thompson. They carry the music of their 'boss' and give him the lightness and the leeway to fully unfold his potential. Both concerts are an absolute must for every Thompson fan." 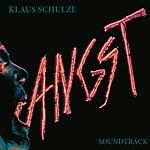 "Re-release of the impressing Klaus Schulze album Angst -- soundtrack for the disturbing movie of the same title by Gerald Kragl. Originally released in 1984. The film was actually shot after Klaus Schulze's score. He got the script and on the basis of the script, he wrote the music. Director Kragl told him, 'You can write the music as you like -- just stick to the script! I will cut the film to the music, not adapting the music to the film.' Normally, the music takes its cue from the film but in this case it was the other way around. So Klaus had a lot of freedom and could compose real songs. Some of the music is outright scary but just perfect for Halloween." "Re-release of the impressing Klaus Schulze album Vanity Of Sounds (originally released in 2000 as part of the long exhausted 10 CD (wooden) boxset Contemporary Works). Compared with the most CDs from this box, where Klaus worked together with different other musicians (e.g. Solar Moon System, like MIG Release Ultimate Docking), Vanity Of Sounds is 'pure Schulze' again, the way many fans love it. 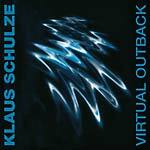 Vanity Of Sounds is another real gem from the huge back catalogue of Klaus Schulze."